All businesses, regardless of their size, can bring in more efficiency and enhance productivity with Cloud-based Attendance Management Software. Capture Attendance data accurately with customizations for various work-shift schedules, employee calendars, exceptions and new scenarios. Ensure Employee Satisfaction by offering them more involvement, flexibility and transparency in Leave and Attendance Management. Save human efforts and resource costs with cost-effective attendance software. 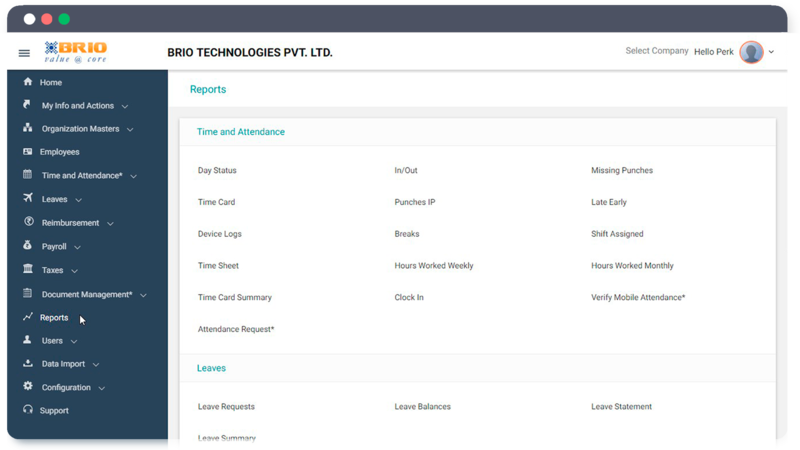 Get detailed and granular reports on attendance. SMS and Email alerts make the job easier by facilitating timely responses. Employees are a fundamental asset for any business that directly influences how a business thrives and any irregularity in managing their time and attendance has its own consequences. But attendance management is quite a tricky affair for small as well as large businesses. In case of businesses that employ a large workforce, manual processes may be too cumbersome, while for smaller organizations too, it might difficult be ensure precision and prevent inconsistencies. Maintenance of manual records on a monthly basis is a huge hassle, prone to human errors and lapses. From the standpoint of employees, it is important that their data must be captured well. Any conflict with the attendance management can leave the employee worrying about it and wasting time in escalations. A good system takes care of all the possible exceptions and makes room for the new scenarios occurring for the first time. Managing attendance online is more feasible than the manual methods. It simplifies the tedious task of attendance management and is an effortless way to improve productivity. It can be considered as a worthy investment that delivers value as it reduces the lapses caused due to human errors. The need for reliable and accurate data in a business cannot be asserted enough. 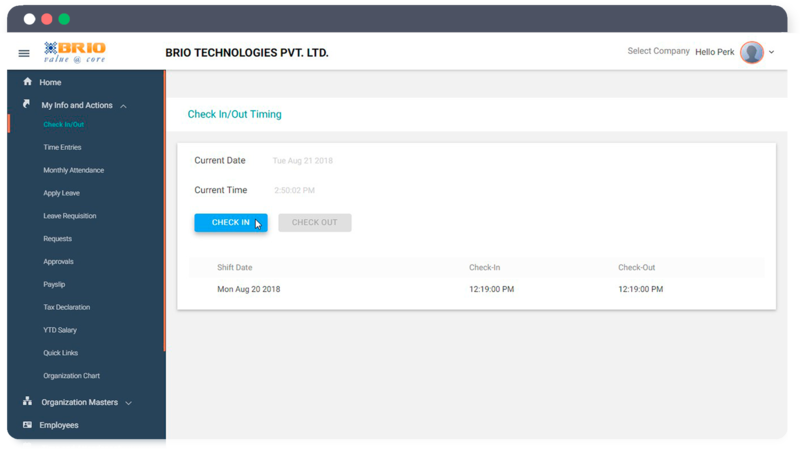 Employee Time & Attendance Software negate the loopholes in the traditional methods of attendance and time-keeping, bringing in more clarity and accuracy. It assists the management in decision making and dealing with problems before they magnify into a serious issue. Maintaining reports of employee data is just as critical as the collection process. 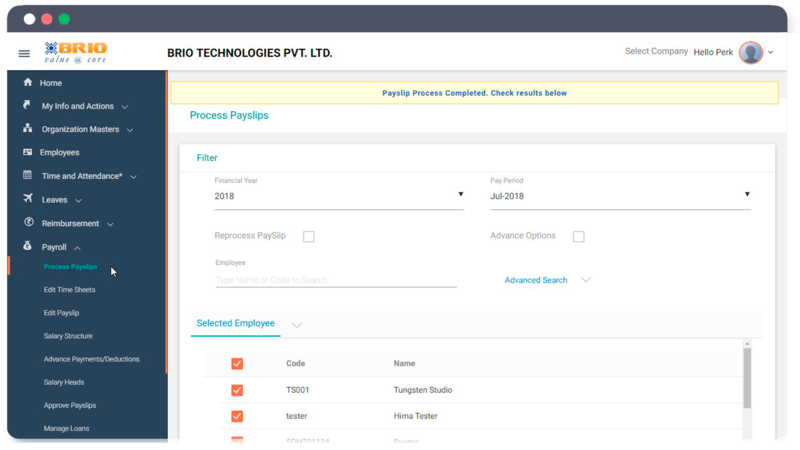 An efficient attendance software gives the management a detailed insight into their business and the employees’ and performance, thus enabling them to take decisions to optimize the workforce. When it comes to policies, there is no ‘one size fits all’ approach. Every business has different policy needs that work in sync with their objectives. 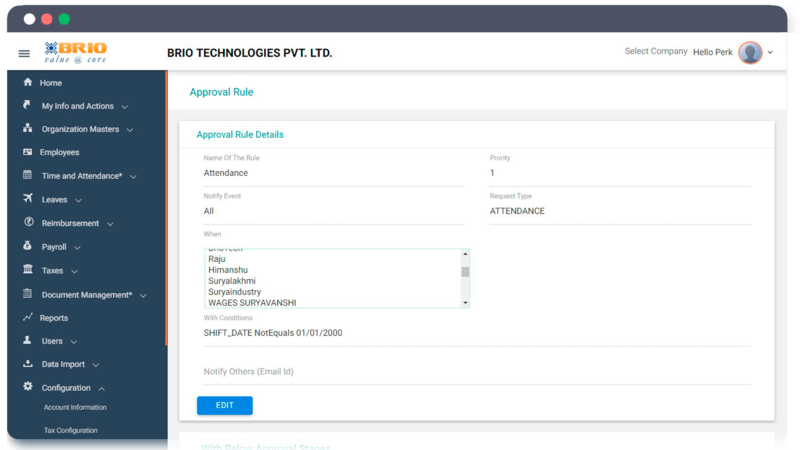 One of the main benefits of managing attendance online is that the attendance policies can be tailored as per the specific requirements of a business to include features such as daily check-in/check-out, leave management, shift allocation, etc. Many businesses operate in shifts today and face the challenge of keeping track of their employees’ attendance. Our employee time and attendance software allows for a flexible shift management system, reducing the inconvenience of everyday shift management. The Attendance team can easily create and manage shift rosters while the employees can receive real time update of the same. Maintaining physical records of attendance is quite an obsolete method and is unsuitable for most businesses. The changing work culture demands for real team access and flexibility. Attendance software provides the same through multiple options such as web-based attendance, biometric attendance system, mobile integrations etc. As every organization is unique, there might be business rules that specifically suit their processes. We can tailor the attendance workflows to accommodate any new workflows that might be needed. 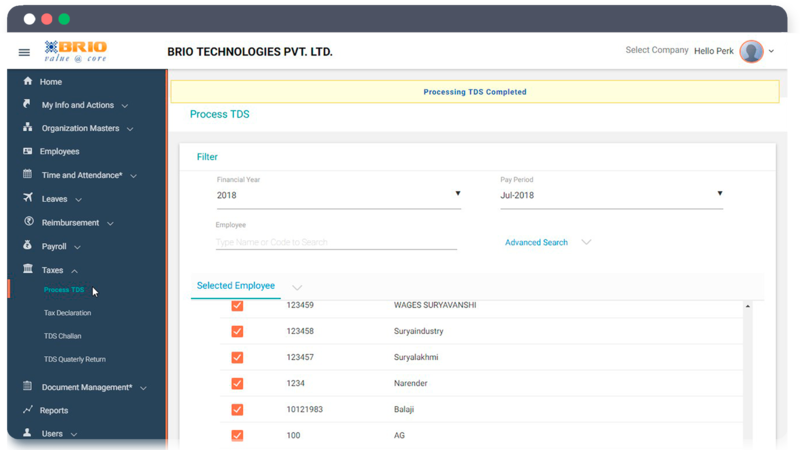 For example, if employees forget to clock time or mark attendance for an onsite assignment, this can be done manually and the reporting authority can approve this from their side using certain custom-made features. Online attendance management enables seamless integration with mobile devices, allowing 24/7 access. 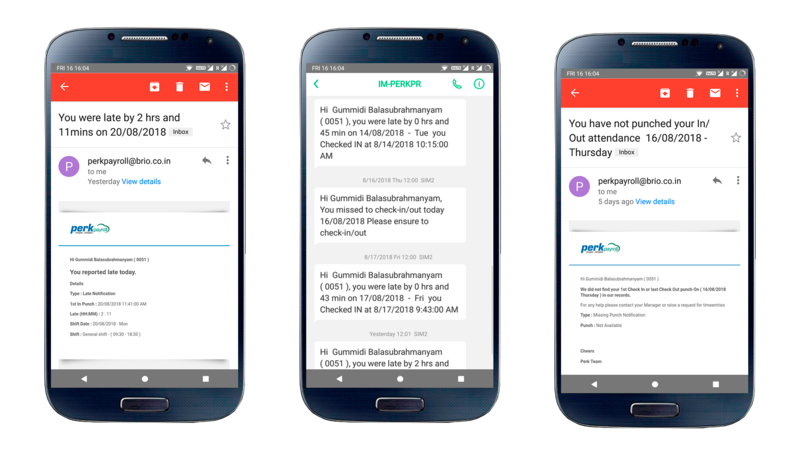 Employees can receive real time updates about their attendance, leave approvals, reimbursement alerts through SMS and E-mail. In short, switching to employee time and attendance software is beneficial for the overall efficiency of a business. It not only reduces the burden of mundane tasks but also simplifies laborious processes, while saving a significant degree of time and cost, with added precision.